Hey there Lucky, we have horseshoe studs that are cute enough to wear everyday! 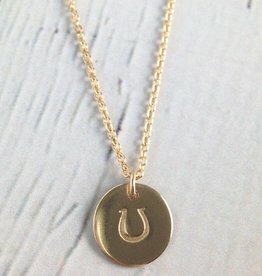 Handmade 14kt Gold Filled and Sterling Horseshoe Pendants on Oxidized Chain Necklace. 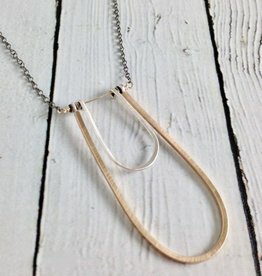 Necklace measures 19” long with 2” extension. Pendant measures 2.25” x 1”.